Yvan is 9yrs old boy who currently has every cause to be happy. He was evidently born with windswept legs. The deformity has restrained him from walking properly like other normal kids would. 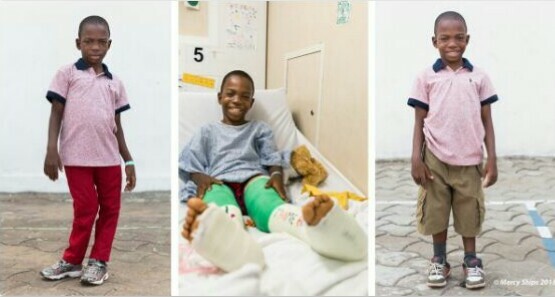 However, things have changed for Yvan who is now able to walk well after getting his legs straightened in a surgery. The surgery was carried by The Mercy Ships, a group hospital ships in developing nations staffed by talented volunteers.